South Bend, IN – An administrative law judge for the Indiana State Department of Health (ISDH) today recommended that the Department issue Whole Woman’s Health Alliance (WWHA) a license to operate an abortion clinic in South Bend, Indiana. In her recommended order, the judge found that WWHA answered every question from the ISDH completely and truthfully and that the information WWHA provided was complete and accurate. She also found that the Department failed to prove their reasons for denying the license and also concluded that the Department failed to show that WWHA lacks a “reputable and responsible” character as they have wrongly claimed. “We had a big win! It has been a long, uphill battle and today we finally have victory! In an order issued late this afternoon, a judge disagreed with the Indiana State Department of Health and concluded that Whole Woman’s Health Alliance was completely truthful and honest on our application and recommended that our clinic license be issued.” states Amy Hagstrom Miller founder and president of Whole Woman’s Health Alliance. “The state has until October 2 to appeal this decision. If that date passes without an appeal, we will open our doors to provide the care the community needs. Families in South Bend, Indiana have been waiting for more than two years to regain access to safe, local abortion care while politicians have done everything in their power to prevent Whole Woman’s Health Alliance from offering vital health care services to the community. From the beginning of this journey in South Bend, we’ve been moved by the passion and dedication of local activists there who never gave up on the fight to bring abortion care back to South Bend. Even when times were tough, they never gave up. Make no mistake about it – all of us at Whole Woman’s Health Alliance are thrilled with today’s ruling and what it means to families in the South Bend community. We know how hard it’s been for people in South Bend to access quality, compassionate abortion care for the last few years, and we are relieved that those barriers will soon be gone. At the same time, we are frustrated that so many South Bend residents have been caught in political cross fire and forced to navigate barriers resulting in delays or going without the healthcare they needed. No matter the movement, being an activist is difficult work. At times, it can be stressful, and there’s no doubt that times have been tough lately. But while we work to continue the fight for access to quality abortion care, we must take care of ourselves, too. Small acts of self-care regularly can help combat stress, and over time, you’ll start to feel a little more refreshed and ready to take on the fight! 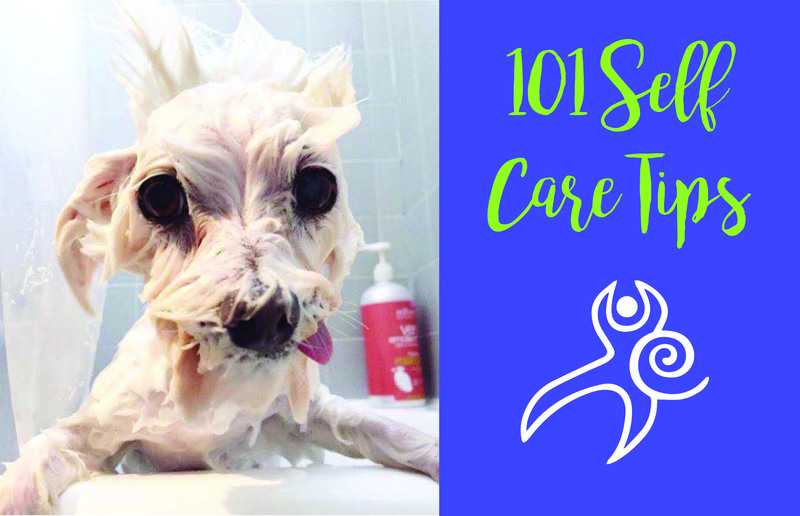 As a movement, it’s important we show up as our best selves, so we’ve got 101 ways you can practice self-care immediately. Whole Woman’s Health Alliance is a non-profit organization that operates abortion clinics in Austin, Texas and Charlottesville, Virginia. To get the latest from Charlottesville, we spoke with the Clinic Director at Whole Woman’s Health of Charlottesville, Sean Mehl. As an outsider, a transplant, and a white male, these words, and the words of countless others, are a sobering reminder of longstanding issues facing communities of color. It is a daily affirmation and a reminder of what it means to have arrived in Charlottesville. The presence of Whole Woman’s Health Alliance in Charlottesville is about more than increasing access to quality abortion care. It is about showing up and putting in the work to eradicate systems of oppression. Racism has been shown to have a quantifiable effect on health disparities and maternal health outcomes. We know that limiting access to abortion contributes to poor maternal health. We also know that black women are far more likely to fall victim to these tragic statistics of maternal and fetal death. It is a trend that has been elevated to what many consider a maternal health crisis. In Texas, one of the most hostile states for pushing dangerous abortion laws, this has been devastatingly true. The institutions that oppress and strip away human dignity work to uphold violent misogyny and reproductive coercion. These systems, legislators, and smug politicians fear the empowered black mother, the pregnant trans man, the immigrant family seeking a life free from political violence, the self-determination that so inextricably binds these movements. We are a product of our racial history. Rather than run from it, it must be confronted. Symbols of this history still stand in Charlottesville, cast in bronze and placed in public parks as if to be a permanent reminder. It is seen in the eyes of the black family mourning of the death of their child by police hands, the child forcibly taken from her mother and placed in immigrant internment, the countless others stripped of reproductive autonomy. Indeed, Reproductive Justice is Racial Justice. In the post-2016 election era, there is no other place so bound to these histories and struggles in the public eye as in Charlottesville, but Charlottesville is more than an event in recent memory. It is a place, a culture, a stake in the ground as we plant our roots into the earth and uphold values that define humanity. Even as the media headlines fade from news cycles, Charlottesville still carries on a smoldering reckoning and daily struggle with unresolved racism. A hotbed of racial tensions erupted to the surface, and so they remain. As Corey Long sits behind bars for standing up against white supremacists, so are women held down by archaic and misguided laws. Reproductive Justice cannot be untethered from Racial Justice if we wish to make access to quality abortion care a reality. It must be front and center. With enough dots, you form a line. From lines, a mural. Murals that remember, honor, and paint a picture of the world we want to live in. Murals that remember Heather Heyer and fight for justice for Corey Long. The presence of Whole Woman’s Health Alliance in Charlottesville is about taking the paint brush from the hands of those who undermine human dignity and giving it to empowered individuals armed with self-determination to paint their own masterpiece. Whole Woman’s Health Alliance is a non-profit organization that operates abortion clinics in Austin, Texas and Charlottesville, Virginia. Currently, Whole Woman’s Health Alliance is awaiting a decision from the State of Indiana on a licensing appeal so they can open a clinic in South Bend. To get the latest from South Bend, we spoke with the Director of Clinical Services (North) at Whole Woman’s Health, Sharon Lau. Fake women’s health centers (also known as crisis pregnancy centers) outnumber abortion clinics in the United States by a margin of at least 3 to 1. These centers pose as comprehensive reproductive health clinics with the goal and mission of shaming and deceiving women to keep them from having abortions. They purposely locate next to or very near abortion clinics and choose names meant to confuse and mislead patients. Like many clinics that actually provide abortion care, Whole Woman’s Health has direct experience with these fake clinics. We could tell story after story of what women have shared with us regarding their experiences at these centers, but here is just one recent account. Women’s Care Center (WCC), an organization with more than 20 fake women’s health centers in 11 states, operates a center directly next door to the Whole Woman’s Health (WWH) Clinic in Peoria, IL. When they eventually made it to WWH, the husband asked our staff why they (WCC) are allowed to be so close and make people think they are in the right place? Why indeed? Because WCC and other organizations like theirs don’t actually want women to make their own decisions about important health care questions but instead want to mislead and shame them into continuing their pregnancy no matter what. Unfortunately, stories like these are not unique. This is the designed strategy of fake women’s health centers across the country. We are in the process of opening a clinic in South Bend, Indiana and purchased a commercial building uniquely suited to our needs after multiple landlords refused to rent to us. Not long after, Women’s Care Center (WCC) purchased a residential property directly next door to our building. They sought to have the building re-zoned for commercial use so they could open one of their centers, claiming they only wanted women in the neighborhood to have options and easy access to care. Not only does WCC already have 5 centers in South Bend and the surrounding communities, an anonymous donor gave the money for the project with the expressed condition that their center be located next door to WWH. WCC could have purchased one of the numerous vacant buildings in the same neighborhood, with the same access for the women in the area, that was already zoned for commercial use. Instead they chose to purchase a building that was not already vacant and was not zoned for their needs. The community fought back, and with the help of courageous Common Council members and Mayor Pete Buttigieg, they won. The re-zoning was ultimately denied. Throughout the process, WCC touted their support of and respect for women, all the while denying that their purpose in trying to locate next door to WWH had anything to do with confusing women. Their argument was blatantly disingenuous. 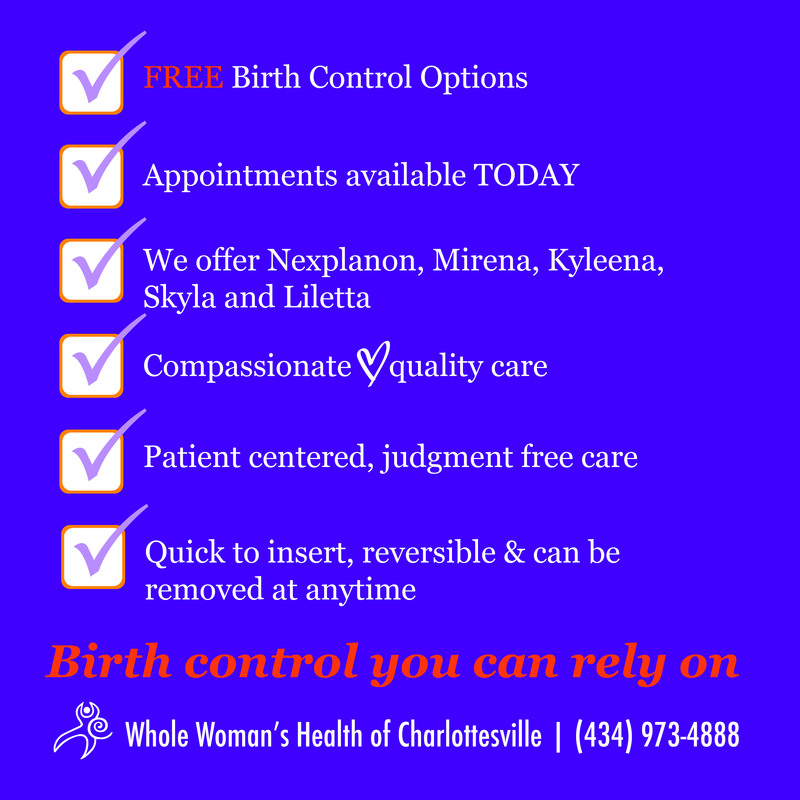 This choice was a clear indication that more than anything else, their priority was to be directly next door to Whole Woman’s Health (WWH), where we know from experience with other WCC sites, it would be designed to confuse and mislead women. Shortly after the re-zoning denial, WCC announced that they were purchasing a commercially-zoned property directly across the street from WWH. While we are not surprised, we are disappointed by the persistence from an unlicensed, non-medical provider to continue to try to dissuade and shame patients from coming to receive our health care services. We hope that Women’s Care Center fulfills their assurances not to engage in the types of deceptive practices that we have previously experienced, but we are not optimistic. At Whole Woman’s Health Alliance we trust women to weigh their situation and their options and come to the decision that is best for them. We create a welcoming, nonjudgmental space, provide high-quality medical care and understand that women are the experts in their own lives about whether and when to have children. Whole Woman’s Health Alliance is a non-profit organization that operates abortion clinics in Austin, Texas and Charlottesville, Virginia. Whole Woman’s Health Alliance is working to strategically shift the stigma around abortion in our culture. They are committed to fostering open and honest conversations, lifting up all communities, and transforming the abortion care environment. In order to get a pulse on the conversation in Texas, we spoke with Prenita Singh, the Clinic Manager at Whole Woman’s Health of Austin, and Courtney Chambers, the Texas Advocacy Director for Whole Woman’s Health Alliance. Growing up, I was fortunate that abortion was never a taboo word. Both my parents are science teachers and abortion was discussed just the same way as sexual education and pregnancy was discussed. It was also never a taboo word amongst my peers and me when we went to college. In fact, I’ve had discussions about abortion with two very close friends of mine. The first was discussed over pizza. We’d both recently graduated college, moved back to our respective hometowns and desperately needed to catch up with the sagas of true adulthood. My friend had no urgency or shame to tell me what happened. It was a natural conversation of, “So, I’ve been seeing this guy… and ended up having an abortion.” There were no questions, no exclamations, no shock or embarrassment, just the usual conversation that continued well into the night. The second discussion was a phone call while I was at work. My friend went in for bloodwork for a standard procedure and found out she was pregnant. Since we’ve had conversations about abortion before, there wasn’t a question of, “What’s next?” It was more of a conversation about what day I could take off to accompany her to the clinic. We must have been lucky that day because there were no protestors outside of the clinic. There was nothing abnormal or shameful about these conversations. Not in my family, my circle of friends or my professional work environment (I worked in OBGYN that saw many high-risk pregnancies). Fast forward to a few years later and imagine my surprise when I moved to Texas and abortion was not only controversial but also treated as a cultural taboo. There were protestors outside when I came for my job interview even though it was well beyond office hours. Imagine my shock when I learned the laws that guided this clinic and the abortion field in Texas. Laws that seemed inconvenient and downright ridiculous. One law states that if a woman is less than 100 miles from any abortion facility, there must be a 24 hour waiting period. I hate driving. 100 miles is a long drive. Not only is she supposed to find the time and resources to get to a clinic but then she has to turn around, go home and do it all over again the next day! As women, we balance at least 20 things on our plate at any given moment. We are caretakers and assume the responsibility of everyone. We are judged and scrutinized for every move that we make. We are expected to take care of partners, children, and a household but yet it is assumed by the government that we are not capable of making decisions about our own bodies? Abortion stigma has negatively affected personal conversations, state and federal laws, and it affects our patients every day – sometimes without them even realizing it. We will continue this work, and will continue to meet every woman who walks through our doors with dignity, compassion, and respect. With constant attacks on access, advocacy work in and outside the clinic continues to be more and more vital to fight against TRAP laws and other restrictions that utilize and perpetuate abortion stigma as a way to further restrict access. Whole Woman’s Health clinics are designed to eradicate stigma from the moment you enter – they are welcoming, comfortable places free of judgment and full of trust for our patients. This has always been integral to the model of care. However, in two Whole Woman’s Health clinics we have extended stigma eradication efforts to the clinic exteriors by installing beautiful, affirming murals on or near the clinics. The murals counter the stigma and hateful rhetoric that many patients encounter from anti-abortion protestors outside the clinic. The murals are a reflection to patients and the larger community that the clinics are a place of love and respect. In addition to the stigma eradication work in and around the clinic, Whole Woman’s Health and Whole Woman’s Health Alliance also provide clinic tours and Abortion 101 and 102 workshops to organizational partners so that they can best advocate for abortion rights and access. These clinic tours and workshops allow pro-choice partner organizations the chance to see the work we do and to ask any questions they may have about abortion care. In addition to advocacy partner organizations, we have also provided these trainings to a range of other groups like journalists and media outlets, legal organizations, and clergy of various faiths. Of course, legal challenges are also a type of advocacy and we vow to continue to fight back in court against burdensome restrictions. We do this stigma eradication work in all the communities we serve, but it is particularly important in Texas, which as a state has led the way for national trends in increased abortion restrictions and attacks on access. This advocacy work started in Texas and eventually led to the Whole Woman’s Health v. Hellerstedt Supreme Court victory in 2016. Here’s to many more years of fighting back against abortion stigma!